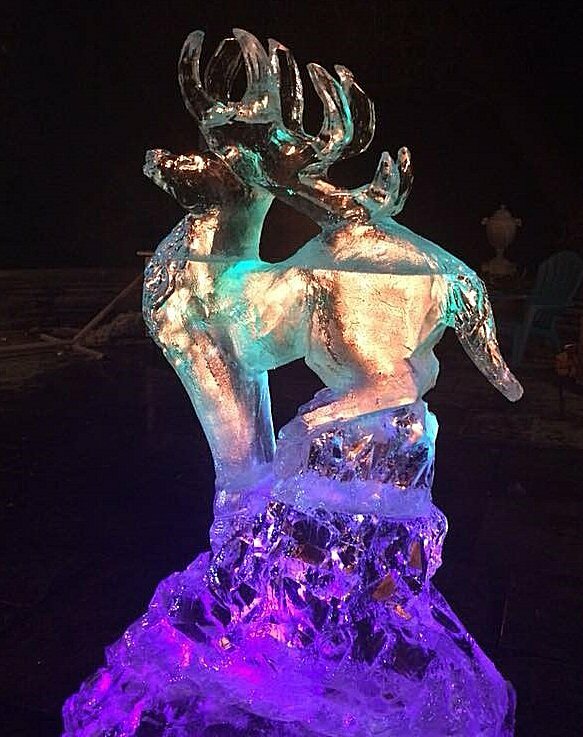 Hand-carved ice sculptures, similar to this graceful reindeer, will be displayed at the Oswego Christmas tree lighting ceremony, Dec. 1, in Oswego Civic Plaza. OSWEGO – Oswego’s Civic Plaza will be glowing with ice sculptures at this year’s Christmas tree lighting ceremony Dec. 1. Individuals and businesses can have an ice sculpture created by the Ice Farm, an East Syracuse-based company that creates hand-carved ice sculptures for special events and festivals.